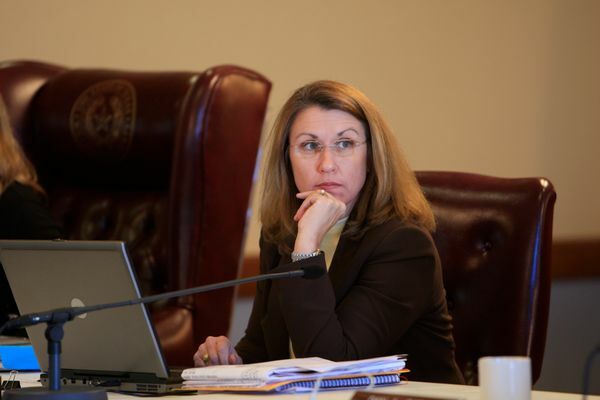 Commissioner Cynthia Long is a native Texan who has called Williamson County home for the past thirty years. Originally from Houston, she graduated number one in her high school class before earning a business degree from Texas A&M University. She began her career in the technology field shortly thereafter, and eventually found her niche in I.T. management, working for the State of Texas. In 1997, she returned to the private sector and started a consulting firm that managed major technology projects in the airline, manufacturing, and financial service industries. This work took her across the U.S., as well as various places in Latin America and Europe. Cynthia and her husband, Donn, moved to Williamson County in 1988 and immediately immersed themselves in community service. From helping form her first neighborhood association to sitting on the boards of organizations like the Cedar Park Regional Medical Center, the Round Rock Medical Center, the Greater Williamson County YMCA, the Twin Lakes YMCA and the AARO, serving her neighbors has always been a priority. In 1995, Cynthia was elected to the Cedar Park City Council and served as a volunteer council member for four years before being elected as the first woman from Precinct Two in Williamson County history to sit on the county commissioners court. During her time on the court, she has served as Vice-Chair of the Capital Area Metropolitan Planning Organization (CAMPO), as Chairman of the Executive Committee of the Capital Area Council of Governments (CAPCOG) and as Vice-President of the Williamson County Conservation Foundation. A life-long Republican, 18-year old Cynthia cast her first vote ever for Ronald Reagan in 1980 and she never looked back. In the mid-90’s, she served as the Vice-Chair of the Williamson County Republican Party, and she also chaired or co-chaired campaigns in Williamson County for both George W. Bush and Rick Perry. Additionally, she has been a delegate or alternate to every Republican state convention since 1992. Cynthia and Donn are the proud parents of one daughter, Sarah, and they are long-time members of the Hill Country Bible Church where they are active in several ministries in addition to volunteering with faith based health clinics and food pantries. 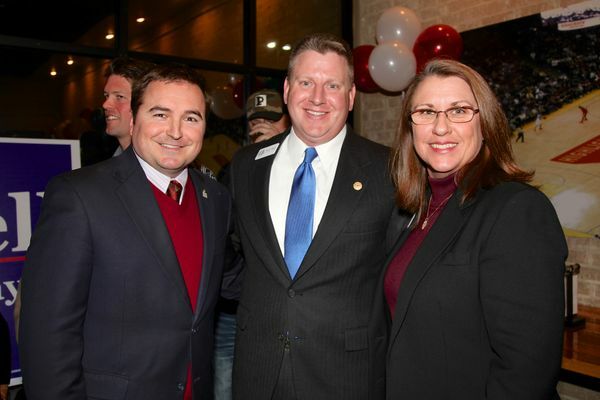 Pictured at right: Cynthia along with Republican State Representative Tony Dale and Cedar Park Mayor Matt Powell.